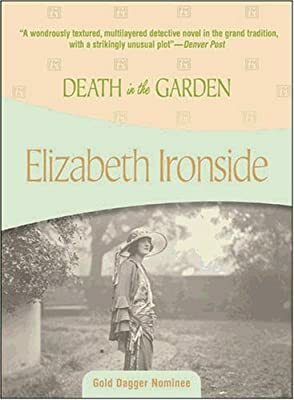 Author: Ironside, Elizabeth Set In . . . Description: In 1925 beautiful, bohemian Diana Pollexfen was celebrating her 30th birthday with a party at a country estate, but the celebrations soured when her husband died, poisoned by a cocktail that had been liberally laced with some of Diana's photographic chemicals. Sixty years later, Diana's grand-niece, Helena, is also turning 30, but with rather less fanfare. An overworked attorney in London, Helena's primary social outlet is an obsessive love affair. By way of distraction, Helena starts looking through her great-aunt's papers and soon develops another obsession: Determining just who did kill George Pollexfen in that lovely, sunlit garden between the wars.